A group of teachers who were involved in using a cage to restrain a ten-year-old boy with autism will not be stood down over the 'heartbreaking' incident due to a 'clear lack of policy' around escalating difficult classroom situations. Eight ACT Education and Training Directorate staff members faced a disciplinary hearing this week after it was revealed a young autistic boy who attended a state school in Canberra's south had been locked in a steel cage in a misguided attempt to manage his behaviour. 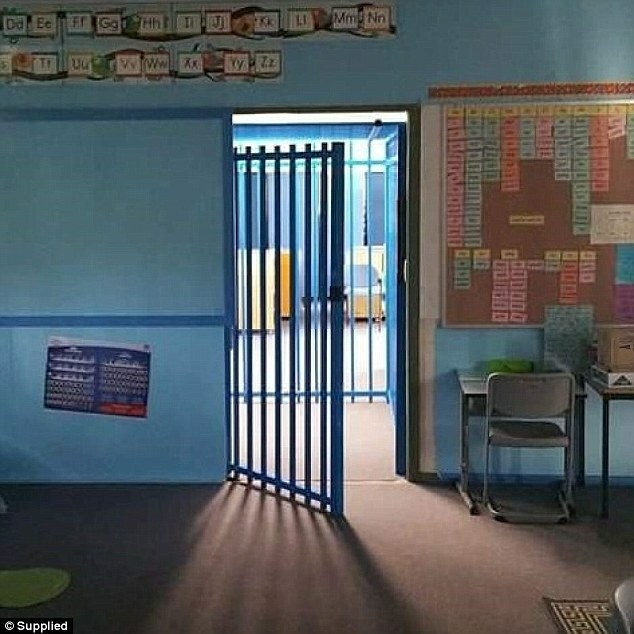 The steel cage, which was fitted with a self-closing latch and built in the corner of the boy's classroom, cost $5,195 and had been authorised solely by the school's principal, an investigation revealed. 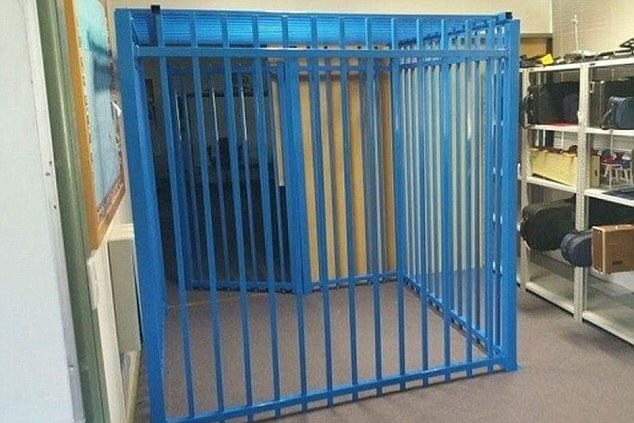 The blue two-by-two metre pen, which teachers referred to as a 'sanctuary', was dismantled 14 days after it was constructed and used only once in March. 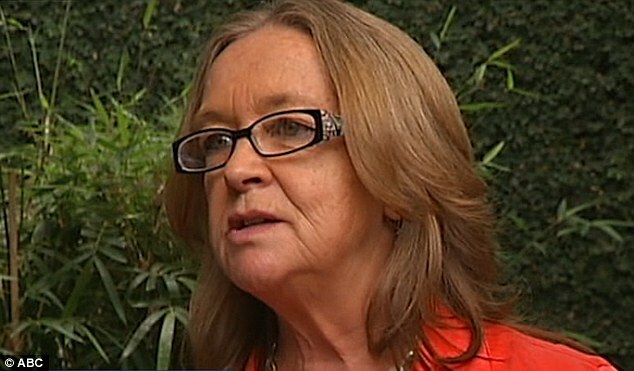 Tony Shaddock, the special education expert from the University of Canberra who reviewed the case, said the departmental staff had a responsibility to report the incident but questioned how much support was provided for teachers when it came to disciplining students with special needs, ABC News reported . 'According to the Shaddock review there seems to be a lack of clear policy regarding the escalation of behavioural issues,' Liberal education spokesman Steve Doszpot said at the hearing. Mr Doszpot said the teaching staff were not provided adequate support or training and could not be expected to make a sound decision without 'clear' guidelines. 'How can other people be disciplined when directions aren't there and the guidance isn't there?' he said. It is not known what role the departmental staff played in the use of the cage, but it is understood that they had been aware of its existence and not reported it to authorities. According to reports, after the review the teachers were either reprimanded or offered counselling. A spokesperson from the Education and Training Directorate confirmed that a review of the incident found that the teaching staff had not met the Directorate’s 'expectations'. 'These actions are not related to the decision making around the structure, but around the swiftness of the Directorate’s response after the withdrawal space was constructed,' they told Daily Mail Australia. They said the matter had been 'dealt with in accordance with the industrial relations framework' but would not comment on individual cases for privacy reasons. The school's principal, who responsible for authorising the steel 'withdrawal space', was immediately stood down from her role but is understood to still work for the Directorate in an administration role. Shortly after the cage was dismantled, it emerged that a disturbing picture of the boy sleeping inside the cage had been pinned inside the classroom for students and teachers to see in an attempt to 'normalise and justify' the unconventional disciplinary action, ABC reported. 'Let's label it a sanctuary, stick up a photo and it won't look and feel so bad,' an unnamed person told the ABC. ACT education minister Joy Burch has slammed the decision to publish photos in the media saying it was heartbreaking for the boy's family. 'I accept that the community rightly wanted answers as to how such a structure came to be,' she said in a statement, according to the ABC. The location of the school and the name of the principal have not been revealed to protect the young boy's identity. This came after the results of an investigation into the structure were handed down, which described the cage as a place for the student to 'calm down'. Ms Burch, who ordered an independent inquiry into the incident, said it was completely unacceptable that a decision was made to build such a structure in response to the student's behaviour. 'This decision was wrong and the officer responsible will no longer be a school principal or be working within a school,' she said. The inquiry found the decision to erect the structure was solely that of the principal and was made without input, consultation or approval from inside the school or the ACT Education and Training Directorate. The inquiry report said expert support, advice and assistance in case management were available to school principals. The specialised behaviour support team routinely provided support to the school but was not involved in the decision to make the structure. The inquiry concluded that officers within the directorate failed to act with sufficient urgency or alarm when alerted to the structure. 'The length of time this has taken did not meet community expectations or my expectations as minister,' she said. Two teachers with expertise in disability education have been assigned to the Canberra school. The school only removed the cage when they were ordered to do so by the ACT Education Department after they received a complaint from the boy's parents. The issue came to light after a complaint was made to the Children and Young People's Commissioner about the cage.